Looking for a way to refresh, invigorate and modernize your outdoor space? Then look no further than the Puppy Outdoor Relaxing Chair with a striking black frame, white wicker seat and with sumptuous coal cushions. Cool, sophisticated and geometric, the Puppy Relaxing Chair with Coal cushions is the perfect size for lounging, yet it is not oversized and bulky. 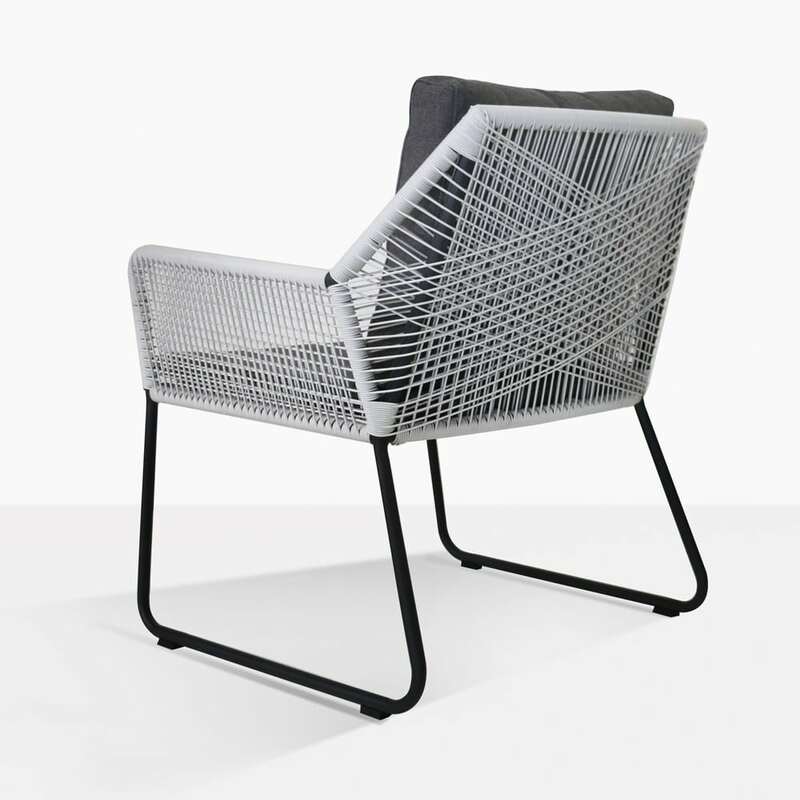 This sleek relaxing chair is on point! 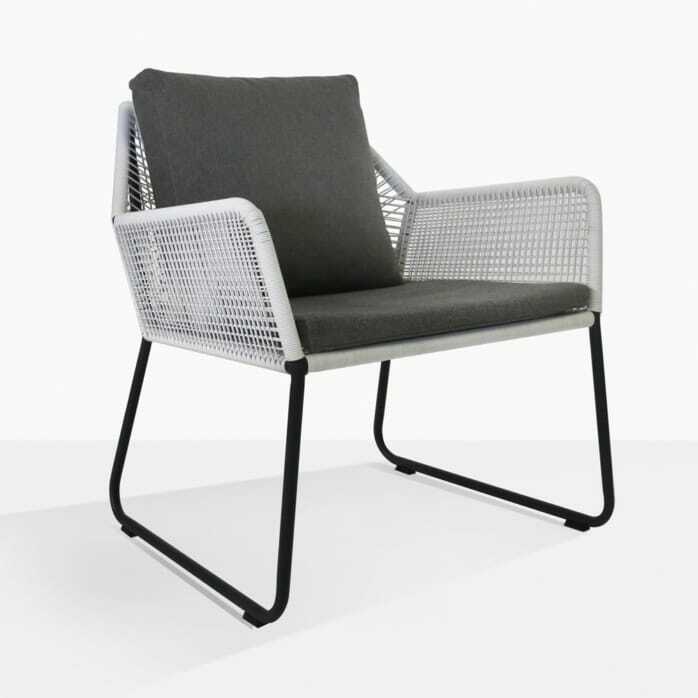 Beginning with a wide frame made from strong yet slender black aluminium which reflect a Scandinavian style, the Puppy Relaxing Chair is then wrapped with robust white wicker, woven to express a divine geometric pattern – inherently modern, chic and stylish. Finally, this beautiful Puppy Chair is topped with a cushy Sunbrella® cushion in a soft coal colour, a perfect package for experiencing fabulous opulence in your home and garden. 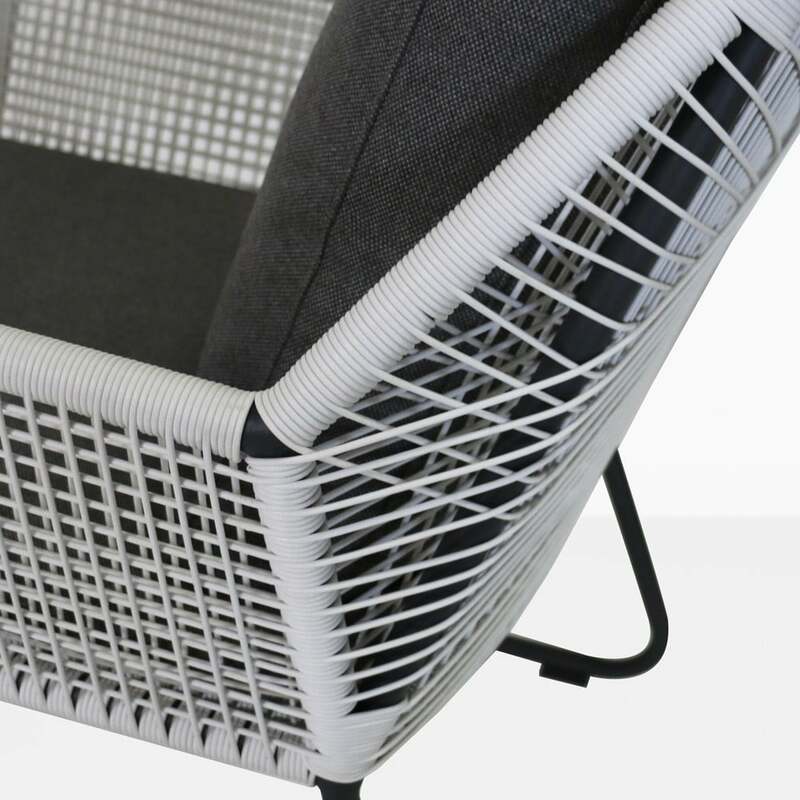 This fabulous Puppy Outdoor Chair can be situated in many different spaces, complementing many styles of home and other furniture. Why not place several of the gorgeous Puppy Relaxing Chair around a low, round concrete coffee table, laden with ornamental hurricane lamps giving off a soft glow. There you can enjoy long hours in the great outdoors with wonderful company in remarkable style. Perhaps you have a covered deck with a full dining set, with a bit of room to relax and unwind in. Place two Puppy Relaxing Chairs side by side with a charming accent table between the two. 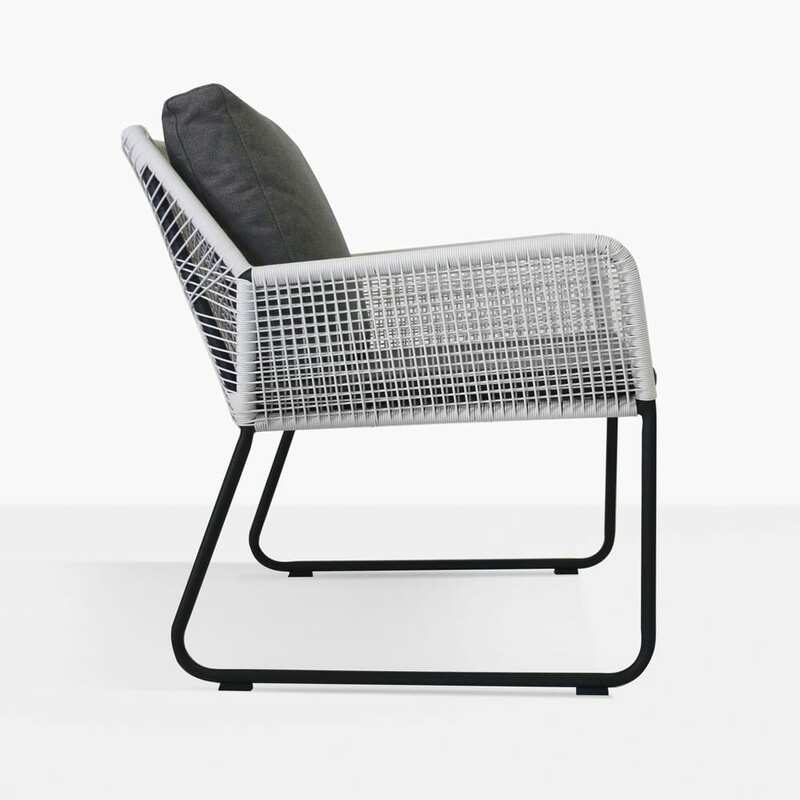 The Puppy Outdoor Relaxing Chairs are made from robust aluminium powder coated in matte black, while the wicker is UV treated poly-plastic which does not morph, melt, or discolour, looking brilliant year after year. The final flourish, is the fabulous Sunbrella® cushion, coloured in Coal, which adds comfort, style and warmth to your fabulous outdoor setting. The Puppy Relaxing Chair is the perfect choice to complement your home.